We do a “family” costume theme each year with our dogs, and this year was Star Wars. 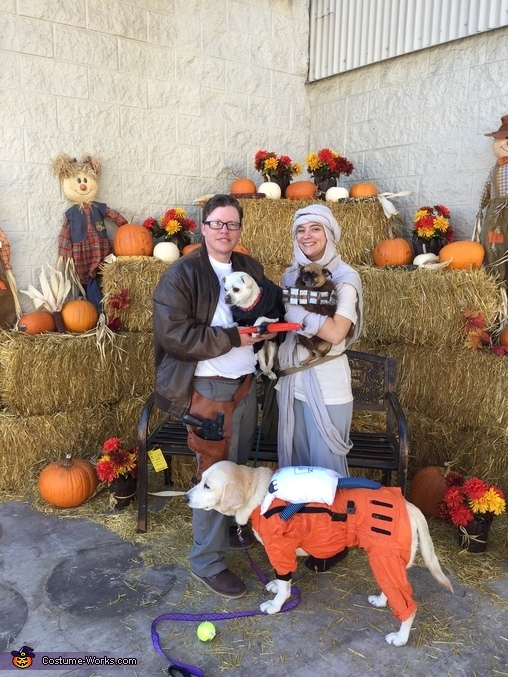 I am Han Solo being stabbed by our Kylo Ren (our chug Charlie), my partner is Rey, holding Chewbacca (our chug Max), and Kirby the Lab is Poe, the best pilot in the resistance. We made all of our costumes.